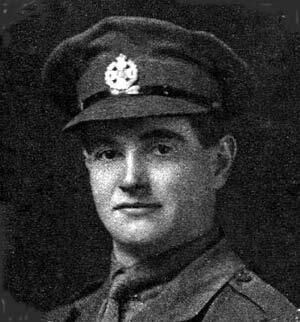 Lieutenant Donald Lewis MacLean of General List (Former service with the Rifle Brigade) aged 31, killed 21/11/1920 at Morehampton Road. Described in a nationalist report as "the chief of intelligence at Dublin Castle.The police investigation (CO 904/169) says " Captain MacLean was belonging to the Rifle Brigade and was attached to the Intelligence Department, Headquarters Staff, The Castle". His army record shows he was on "special duries" and on weighing all the evidence, I conclude that he was involved in Intelligence operations. Smith (the landlord) and Caldow (his brother in law, fresh from Scotland) were probably collateral damage. The Mid Clare Brigade of the IRA claim that they had supplied intelligence information to I.R.A. headquarters which led to the assassination of Captain Mc Lean who had been captured by the I.R.A. in Ennistymon, interrogated and released on the undertaking that he would leave Ireland immediately. Mc Clean ignored this instruction and was shot dead at 117 Morehampton Road on Bloody Sunday. It is not known what became of Captain Collins who had been captured and interrogated with Mc Lean in Ennistymon and whether or not he kept his promise to the I.R.A. to leave Ireland immediately. He left a widow and one child (who were living in Prestwick). His brother in law, John Caldow, a native of in Scotland, narrowly escaped death in the same house. 1901 census could be the 11 year old Duncan MacLean living with grandparents at 3 Duncan St, Girvan, Ayrshire (only possibility in Ayrshire), and it says born England. It was now obvious that Captain Mc Lean and his companion Captain Collins were gathering information to plan a ‘round up’ of leading I.R.A. members in the area and the I.R.A. decided to capture and interrogate the two British officers. They were disarmed and arrested by I.R.A. 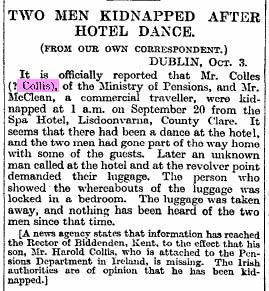 Volunteers as they left a dance at at the Spa Hotel in Lisdoonvarna on the night of 19th-20th September, and were taken to Ballinalacken Castle for interrogation. 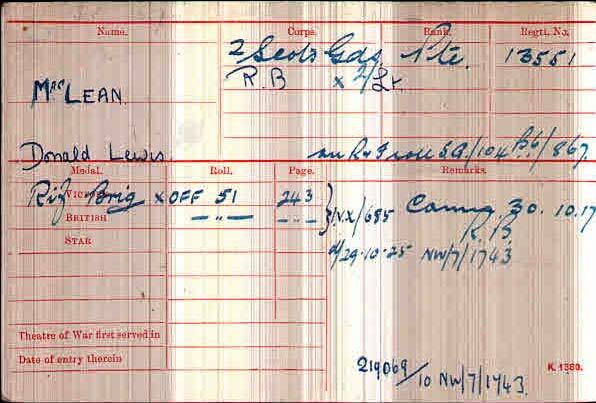 Mc Lean and Collins were held and interrogated for a short time and released after giving an assurance that they would leave Ireland immediately. The Mid Clare Brigade passed all the information they had gathered from them on to I.R.A. intelligence. The pair were exceptionally lucky not to have been executed by the I.R.A. Had they been captured just forty eight hours later in the wake of the Rineen Ambush and the widespread British reprisals that followed they would almost certainly have been executed by the I.R.A. The Mid Clare Brigade had supplied intelligence information to I.R.A. headquarters which led to the assassination of Captain Mc Lean who had been captured by the I.R.A. in Ennistymon, interrogated and released on the undertaking that he would leave Ireland immediately. Mc Clean ignored this instruction and was shot dead at 117 Morehampton Road on Bloody Sunday. It is not known what became of Captain Collins who had been captured and interrogated with Mc Lean in Ennistymon and whether or not he kept his promise to the I.R.A. to leave Ireland immediately. Six IRA killers had entered the house at 117 Morehampton Road, Donnybrook, where Lieutenant Donald Lewis MacLean, along with (suspected informer - I have nowhere found anything to substantiate this remark) T. H. Smith and MacLean's brother-in-law, John Caldow, were taken into the hallway and about to be shot, when MacLean asked that they not be shot in front of his wife. 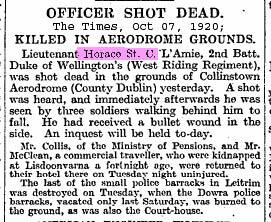 The three were taken to the roof, where they were shot by Vinnie Byrne and Seán Doyle. Caldow survived his wounds and returned to his home in Scotland. Hansard reports At Briama, 117, Morehampton-road. Just before nine a party of between twelve and twenty armed men knocked at the door and it was opened by a boy of ten years, the son of Mr. Thomas Smith, the householder. They rushed into the house and dragged Mr. Smith and Captain McLean (who were in bed with their wives) into a front spare bedroom. Mr. Caldow, the brother of Mrs. McLean, was thrust in beside them, and all three were shot in cold blood. Captain McLean and Mr. Smith were dead before an ambulance could arrive. Mr. Caldow is seriously wounded. Mr. Thomas Henry Smith, the landlord, was a man of about forty-five years of age and leaves a wife and three children. 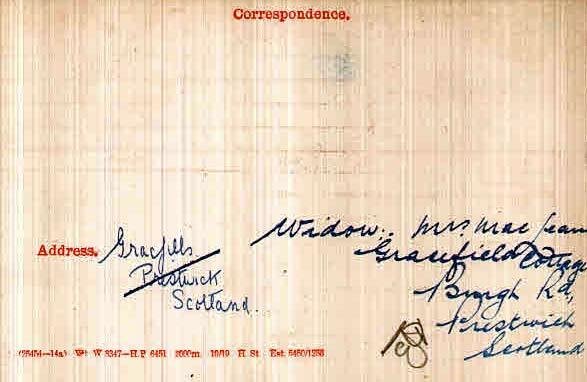 Captain McLean, who served with the Rifle Brigade during the war along with his brother-in-law, Mr. John Caldow, a native of Prestwich, Scotland, had come to Ireland with a view of securing employment in the police. Captain McLean leaves a wife and child. Both Mrs. Smith and Mrs. McLean were in the house when their husbands were murdered. It is said that the assassins dragged their victims to an empty room to murder them, as Captain McLean, when overpowered, implored them not to murder him under his wife's eyes. On completing their dastardly work the murderers rushed out of the house and disappeared. 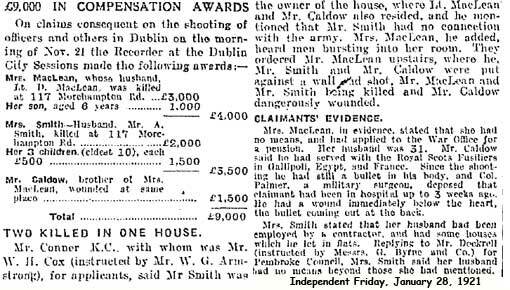 Smith’s wife stated at the military inquiry : I saw some men coming up the stairs, who appeared to number about 20, with revolvers in their hands. They then told me to put my hands up and my husband came out on the landing and asked for a little time to put on some clothes, which they granted. I then asked if I could go into my baby in the next room and they pushed me roughly into it. I then heard about 8 shots. A minute or two later I heard John Caldow (who was staying with us) call out Kate (meaning his sister) run for the doctor. I then came out and saw John Caldow in [the] entrance to the room, lying on his back wounded. I passed him and saw my husband lying very badly wounded and Mr MacClean dead. My husband had no regular occupation and owned property. His age was 47. 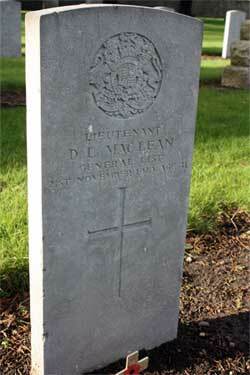 He did not take part in politics, but was very friendly with Captain MacLean who had just resigned from the army.